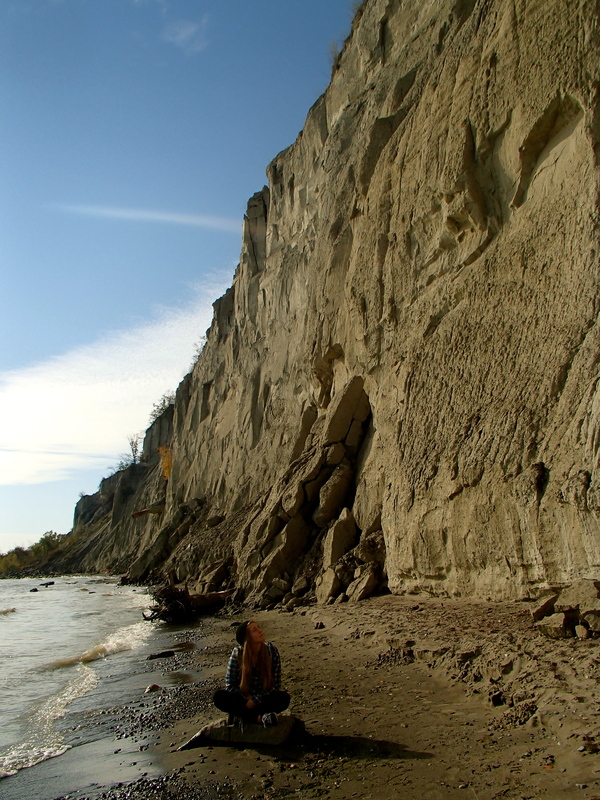 The Scarborough Bluffs are located in the Scarborough district of Toronto along Lake Ontario. At the highest point, the escarpment is 90 meters above sea level. The bluffs make up about 14km of Lake Ontario’s coastline. They were formed over many years of erosion of the packed clay. Unfortunately, the erosion has increased with the increase in development causing the bluffs to, at times, break off. Today, there are a few parks in which to enjoy the views of the bluffs. Some of these parks access the top portion of the bluffs others allow for a view from the bottom of these bluffs. There is no fee for parking. I could imagine this being an amazing place to enjoy a sunset over Lake Ontario. Bluffers Park is one of the larger parks that offers multiple actives such as swimming, boating, sailing, and picnicking. This park is at sea level, so you get amazing views of the escarpment from below. 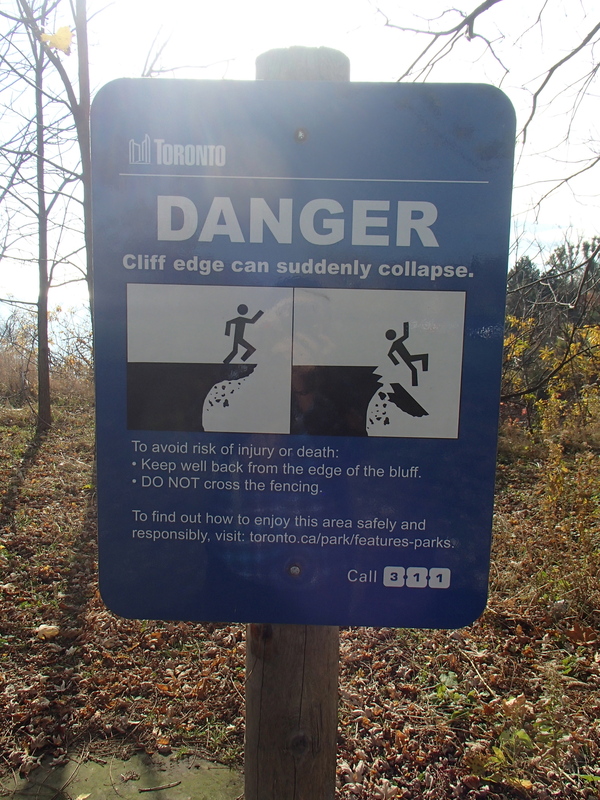 Scarborough Bluffs park is on the top of the escarpment, the view of Lake Ontario are beautiful… but don’t get to close to the edge! Cathedral Bluffs Park has the largest bluff formations of more than 90 meters above the coast line. 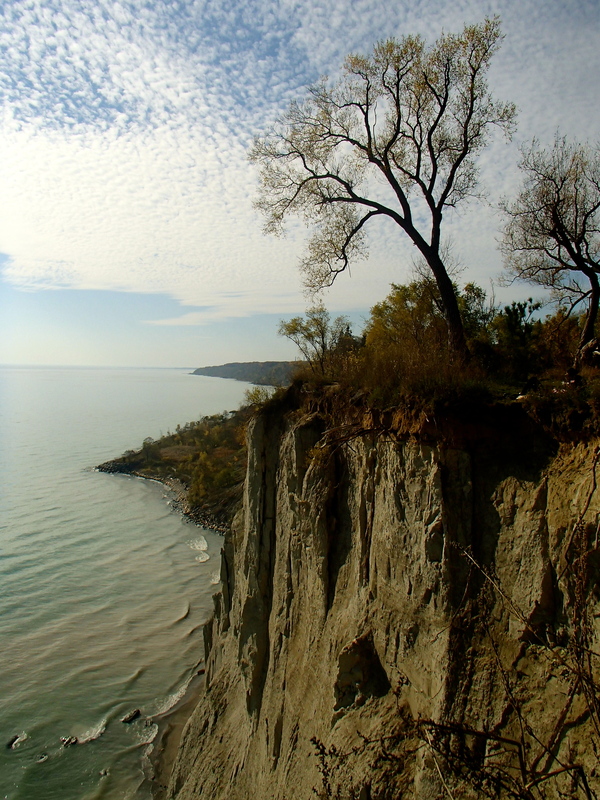 Scarborough Bluffs is just one of the many things to do while in Toronto. It is just a small trip outside of the city of Toronto and well worth it to see these amazing geological formations… Just make sure to get to them before they are gone! With the accelerated rate in erosion of these bluffs, it is only a matter of time before they disappear. Tags: bluffs, canada, geology, greatlakes, nature, scarboroughbluffs, toronto. Bookmark the permalink.